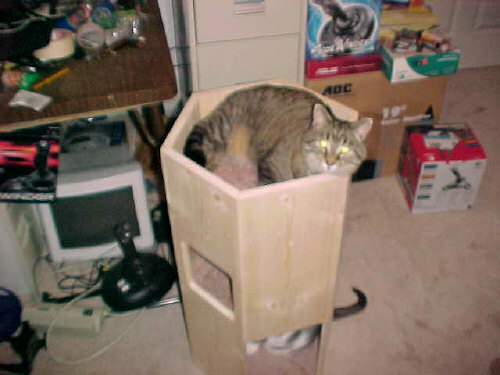 The playhouses I have pictures of are for cats but I can also make things for dogs, just send me a picture! I saw a really cute double doghouse once that I wanted to build. 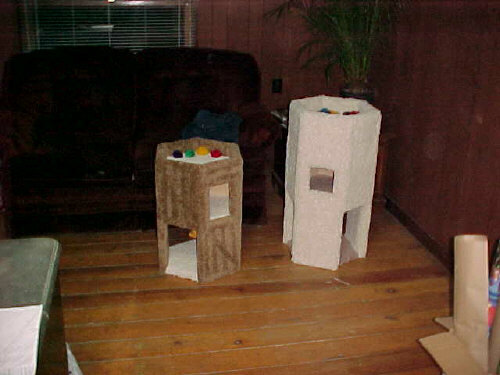 Here is a three-level cat playhouse in tall, medium and small sizes. No cardboard here, I make them out of solid 3/4" pine. 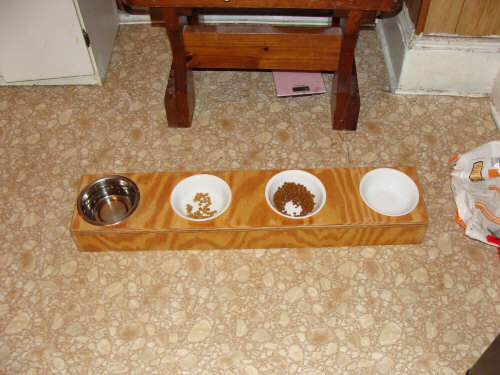 I made this food bowl for my three cats. The finish is a non-toxic mineral oil. 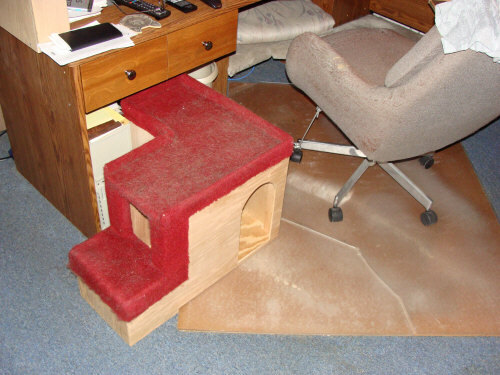 Different heights can be made for aging pets so they don't have to stoop to eat. 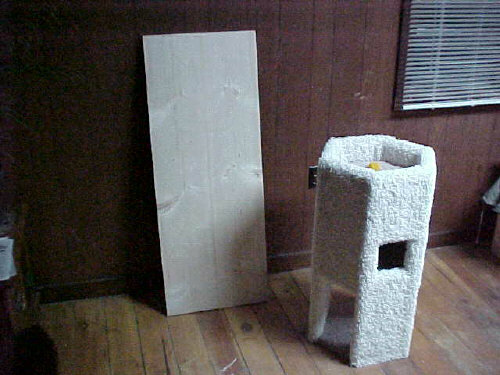 Made from 1/2" and 3/4" plywood these are sturdy enough for the heaviest pet. This first set is made for cats to be able to climb up to a sink to drink from their fountain. 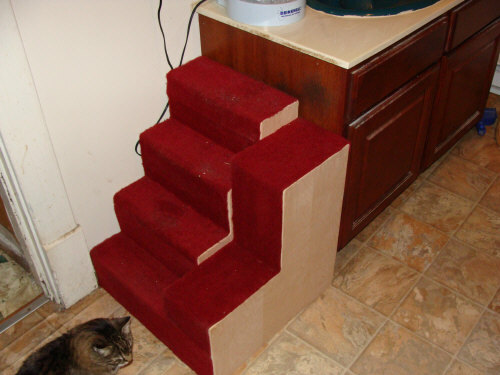 Two steps on one edge and four steps on the other give cats the step preference they prefer. 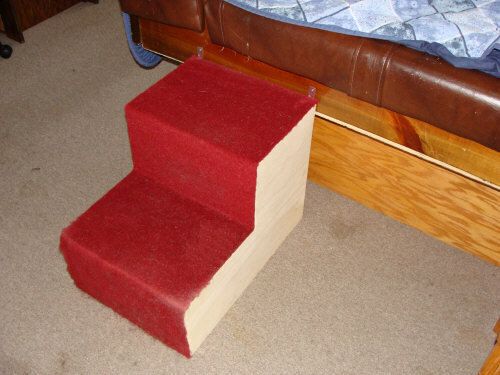 The left step is to climb up to a tall waterbed. 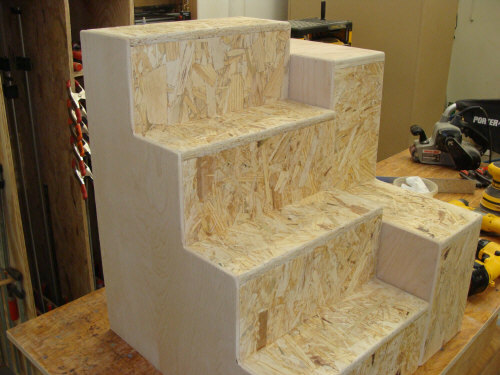 The right step includes a play section under it and a sleeping section above.